What does Gen Z eat? What do they want out of the food they consume? What is the difference between seasonal and generational trends in food? 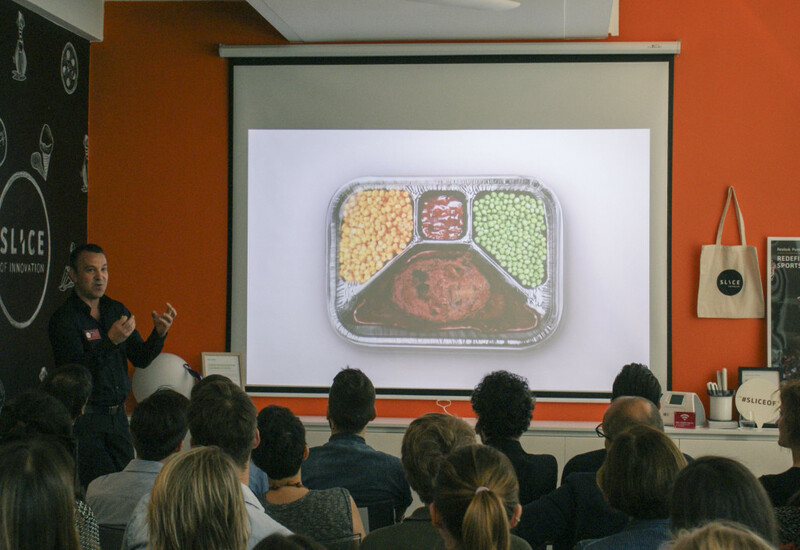 How is the food industry adapting to meet the needs of the evolving eater? Last Thursday, a community of foodies, designers and industry professionals gathered at Continuum Milan’s studio to muse on these questions and more. 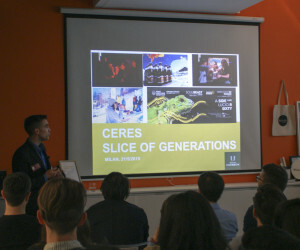 The collaborative talk, entitled SLICE OF GENERATIONS, marked the launch of a five-part event series inspired by and hosted in conjunction with the 2015 Milan Expo. This crave-worthy conversation featured guest speakers Mauro Fontana, the Scientific Supervisor at chocolatier Ferrero; Roberto Zepponi, Marketing Director for Ceres-Royal Unibrew; as well as Continuum Boston’s own Principal, Lee Moreau. If Gen Xers are what they eat, Gen Zers eat what they are. Food choices are a means of self-expression beyond the stomach. They want to know where their food comes from and how it was made. What Gen Z puts on their plate communicates more than a momentary craving; it articulates their identity and ethos. Where there’s fun, there’s bound to be FOMO. With the rise of social platforms like Pinterest, Instagram, and SnapChat, the definition of “shared plates” has drastically changed. Today’s consumers are immortalizing their meals in a click, and extending their eating experience well beyond their table, to their vast social networks. What does all this mean? The food industry is in the midst of a societal shift as young people seek to re-humanize food, converting it from shelf product into a shared, lived experience. Mauro Fontana stepped up next, and echoed much of Moreau’s points about the emerging trends amongst Ferrero’s newest consumers. A couple of decades ago, the Ferrero brand was defined by its product alone—high quality and delicious. But in recent years, the company has seen a shift in the priorities of their target consumer. Nutritional value and sustainability—things that were already central to the company’s philosophy—have become factors in the buying decision for the first time. Looking carefully at the ways in which these two factors matter to their consumer in different ways, the company adopted a policy of transparency to meet these new expectations. Ferrero openly shares the nutritional facts behind their complete line of offerings. This was a relatively easy angle to adopt, given that the brand has always kept their product portfolio small and specialized, while maintaining a wide target range. Not to mention that authenticity has always been a part of the company’s internal culture. Fun fact: Ferrero provides custom machines in their offices, so employees can experiment with roasting hazelnuts to different levels and in different ways. For Ferrero, adapting to generational change has largely meant publicizing a philosophy and set of values that have always been a part of the brand. They’ve turned what’s inside, out. Food Experience InnovationThe discussion wrapped with Roberto Zepponi, who heads up marketing for Ceres-Royal Unibrew. One of the largest breweries in Denmark, the Ceres-Royal Unibrew brand has been successful in reaching younger generations thanks to a ground-up approach rooted in authenticity. Where the Ceres marketing strategy had long taken a traditional, editorial approach, Zepponi’s team has made a deliberate effort to execute more “instant” and authentic engagements with their consumer base. They’ve shifted the tone in their social media engagements, aiming to be quick, smart, and edgy, at times even ironic. Zapponi noted their recent promotion of the Campaign for Expo Workers on April 1st as an example of an honest, spontaneous attitude that has gained respect for the brand amongst consumers. They’ve also been fortunate to partner with key “opinion leaders” as a leading sponsor of their events, giving Ceres a visual presence amongst new audiences both online and offline. The digital echo generated from this bare and spontaneous communication has served to strengthen the brand’s connection with their community. Food is a basic form of sustenance, but it’s also a catalyst for connection and a means of cultural expression. Just as clothing and décor trends evolve with each new generation, so too do our attitudes, preferences, and interactions with food. For society’s young eaters, there’s more to food than how it tastes. They want an authentic meal prepared before them, tailored for them. Gen Z is tossing out the 20th century’s TV dinner, for good.